“Honey and Mass Extinction: What Everyone Should Know About the State’s Bee Population” was a lecture given at the Iowa City Public Library by Paulina Mena Ph.D who works as a Associate Professor of Biology at Central College in Pella, Iowa. The lecture focused mainly on information about what exactly is harming bees as well as how exactly we should be working to save them. If you don’t understand why bees are so important or why people are making such a big fuss about bees, Mena starts the lecture off with a statistic that will shine some light. 85% of flowering plants (berries, pumpkins, tomatoes, flowers, etc.) and 75% of crops (corn, wheat, soybean, etc.) depend on bees. Since we live in Iowa, a largely agricultural state, bees are vital for our economic stability. We also focus mainly on honeybees or bumblebees when we think of “saving the bees” without considering how many species are actually being affected. Mena tells us there are about 20,000 species of bee worldwide, about 4,000 in the United States, and around 400 in Iowa. Most of these species are being threatened for many reasons, but here are the largest. Bee habitats are being destroyed and fragmented, says Mena, because their natural homes are being turned into highways, commercial buildings, and housing developments. Pesticides are also a huge part of the endangerment of bee species. Mena tells us that wheat crops in Iowa are 0.1% similar to what they originally were, genetically speaking. Pesticides have altered these crops so much over so many years of using pesticides on them, that they have become virtually unrecognizable to species that require them to survive. New kinds of pesticides are also used directly on seeds for these crops, so they will be all over every yield that seed ever produces, according to Mena. These pesticides will also be all over anything surrounding it, such as wildflowers next to the crops. Lastly, the largest reason bees are being threatened is due to exotic species being introduced and the diseased they bring with them. Mena describes the Africanization of bees. African bee species were brought to Brazil to be studied in the early 21st century. They then bred with native species. The offspring of these bees became extremely aggressive and killed their queen bees as well as human beings. Since they are so harmful, no one will be their beekeeper, so they have spread through South America and now reside in the Southern United States, but have been found as far north as Utah. Diseases brought along with exotic species are also harmful. Native bee species have been equipped over time to handle native diseases, as Mena describes, but are incapable of beating diseases brought over from new species. This is also wiping them out. 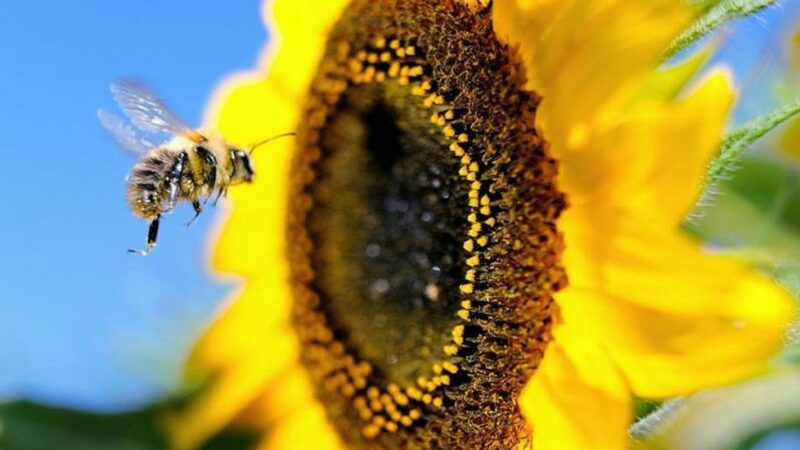 There are a few ways that we are able to help bee populations grow again! We can plant flowers and herbs that provide food to bees such as lavender, sage, and mint. 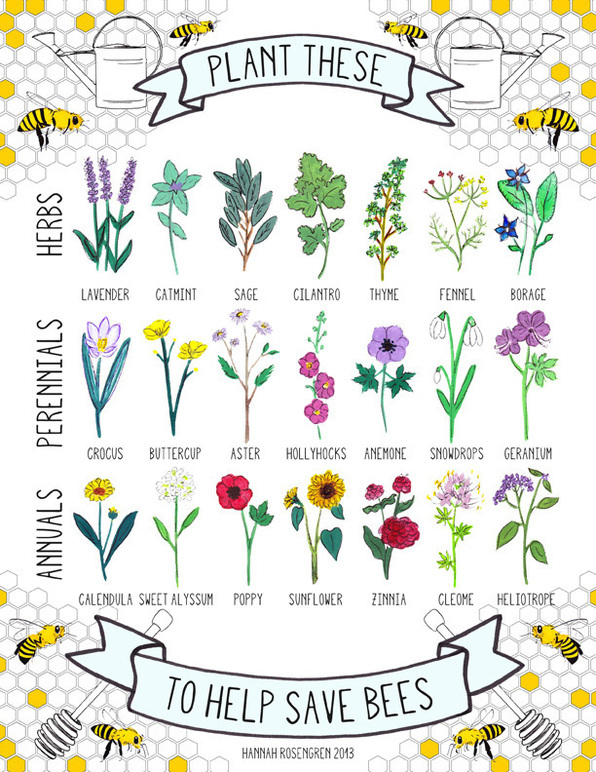 The graphic Mena provided us with is on the right, and has a large assortment of bee-saving plants! Quitting the use of pesticides on our front lawns can also help, and so can saving dandelions instead of destroying them. They aren’t the best food bees can get like the plants listed above, but every little bit counts. 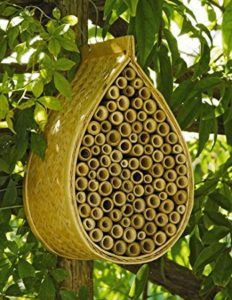 Another way we can help bees is providing them with places to nest. You can do this by making a bee house, as shown in the photo on the left. A lot of the time these can be made with a small piece of wood and a drill, or you can purchase them online. To learn more about Mena and her studies on bees, read this Little Village article about her! Save those bees!